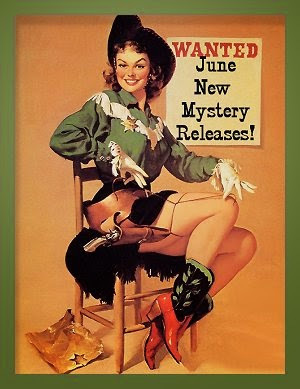 June 2015 New Mystery Releases! June is prime pool reading time for me, so you've got to know that I've been keeping my eyes peeled for all sorts of good reads to take out there to devour! As usual, my picks are grouped by their release dates, and I've included all the information you'll need in order to find them at your own favorite "book procurement" locations. Book synopses are courtesy of Amazon. Synopsis: "A real-life detective story, investigating how Agatha Christie and colleagues in a mysterious literary club transformed crime fiction, writing books casting new light on unsolved murders whilst hiding clues to their authors’ darkest secrets. 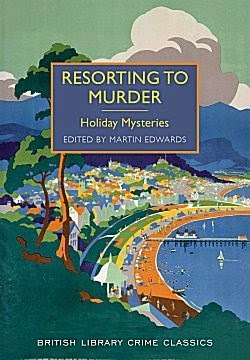 The Golden Age of Murder rewrites the story of crime fiction with unique authority, transforming our understanding of detective stories and the brilliant but tormented men and women who wrote them." Synopsis: "The American Southwest has been decimated by drought. Nevada and Arizona skirmish over dwindling shares of the Colorado River, while California watches, deciding if it should just take the whole river all for itself. Into the fray steps Las Vegas water knife Angel Velasquez. Detective, assassin, and spy, Angel “cuts” water for the Southern Nevada Water Authority and its boss, Catherine Case, ensuring that her lush, luxurious arcology developments can bloom in the desert and that anyone who challenges her is left in the gutted-suburban dust. 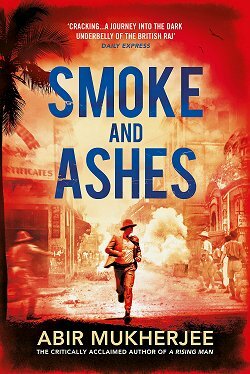 As bodies begin to pile up and bullets start flying, the three find themselves pawns in a game far bigger, more corrupt, and dirtier than any of them could have imagined. With Phoenix teetering on the verge of collapse and time running out for Angel, Lucy, and Maria, their only hope for survival rests in one another’s hands. But when water is more valuable than gold, alliances shift like sand, and the only truth in the desert is that someone will have to bleed if anyone hopes to drink." Synopsis: "A cache of diamonds is stolen in Phoenix. The prime suspect is former Maricopa County Sheriff Mike Peralta, now a private investigator. Disappearing into Arizona’s mountainous High Country, Peralta leaves his business partner and longtime friend David Mapstone with a stark choice. He can cooperate with the FBI, or strike out on his own to find Peralta and what really happened. Mapstone knows he can count on his wife Lindsey, one of the top “good hackers” in law enforcement. But what if they’ve both been betrayed? Mapstone is tested further when the new sheriff wants him back as a deputy, putting to use his historian’s expertise to solve a very special cold case. 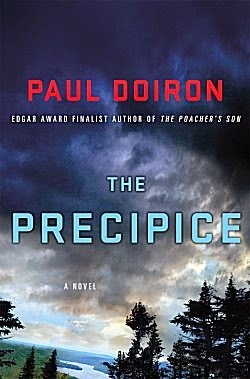 The stakes turn deadly when David and Lindsey are stalked by a trained killer whose specialty is “suiciding” her targets. In depressed, post-recession Phoenix, every certainty has become scrambled, from the short hustle of the powerful real-estate industry to the loyalties Mapstone once took for granted. Could Peralta really be a jewel thief or worse? The deeper Mapstone digs into the world of sun-baked hustlers, corrupt cops, moneyed retirees, and mobsters, the more things are not what they seem. Ultimately, Mapstone must risk everything to find the truth. 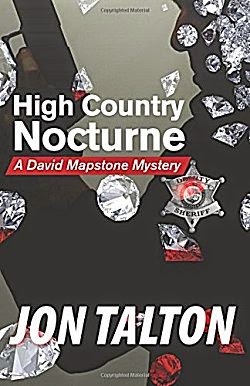 High Country Nocturne is an ambitious, searing, and gritty novel, with a fast-paced story as hard-edged as the stolen diamonds themselves." Synopsis: "Holidays offer us the luxury of getting away from it all. So, in a different way, do detective stories. This collection of vintage mysteries combines both those pleasures. From a golf course at the English seaside to a pension in Paris, and from a Swiss mountain resort to the cliffs of Normandy, this new selection shows the enjoyable and unexpected ways in which crime writers have used summer holidays as a theme. These fourteen stories range widely across the golden age of British crime fiction. Stellar names from the past are well represented - Arthur Conan Doyle and G. K. Chesterton, for instance - with classic stories that have won acclaim over the decades. The collection also uncovers a wide range of hidden gems: Anthony Berkeley - whose brilliance with plot had even Agatha Christie in raptures - is represented by a story so (undeservedly) obscure that even the British Library seems not to own a copy. The stories by Phyllis Bentley and Helen Simpson are almost equally rare, despite the success which both writers achieved, while those by H. C. Bailey, Leo Bruce and the little-known Gerald Findler have seldom been reprinted." Synopsis: "With her personal life in disarray, Julia Lanchester feels she has no option but to quit her job on her father’s hit BBC Two nature show, A Bird in the Hand. 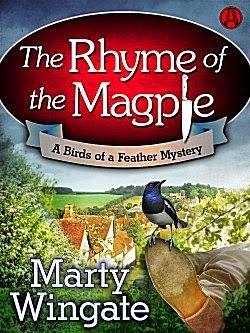 Accepting a tourist management position in Smeaton-under-Lyme, a quaint village in the English countryside, Julia throws herself into her new life, delighting sightseers (and a local member of the gentry) with tales of ancient Romans and pillaging Vikings. But the past is front and center when her father, Rupert, tracks her down in a moment of desperation. Julia refuses to hear him out; his quick remarriage after her mother’s death was one of the reasons Julia flew the coop. But later she gets a distressed call from her new stepmum: Rupert has gone missing. Julia decides to investigate—she owes him that much, at least—and her father’s new assistant, the infuriatingly dapper Michael Sedgwick, offers to help. Little does the unlikely pair realize that awaiting them is a tightly woven nest of lies and murder." Synopsis: "1950s Prague is a city of numerous small terrors, of political tyranny, corruption and surveillance. There is no way of knowing whether one’s neighbor is spying for the government, or what one’s supposed friend will say under pressure to a State Security agent. A loyal Party member might be imprisoned or executed as quickly as a traitor; innocence means nothing for a person caught in a government trap. But there are larger terrors, too. When a little boy is murdered at the cinema where his aunt works, the ensuing investigation sheds a little too much light on the personal lives of the cinema’s female ushers, each of whom is hiding a dark secret of her own. Nearly lost to censorship, this rediscovered gem of Czech literature depicts a chilling moment in history, redolent with the stifling atmosphere of political and personal oppression of the early days of Communist Czechoslovakia." 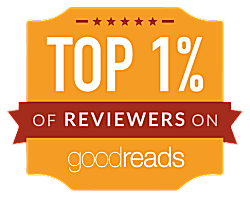 Synopsis: "A masterful, intensely suspenseful novel about a reader whose obsession with a reclusive writer goes far too far—a book about the power of storytelling, starring the same trio of unlikely and winning heroes King introduced in Mr. Mercedes. Not since Misery has King played with the notion of a reader whose obsession with a writer gets dangerous. 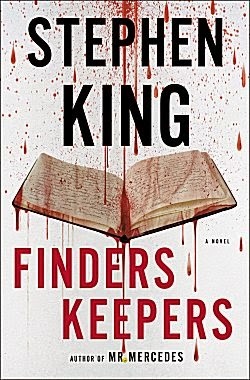 Finders Keepers is spectacular, heart-pounding suspense, but it is also King writing about how literature shapes a life—for good, for bad, forever." Synopsis: "Upon his return from World War II, Seaman Yazzie Goldman realizes that not much has changed at his family's trading post in Monument Valley--and yet everything is different. His grandfather, Moses Goldman, has suffered a debilitating stroke, and while Yazzie's mother Nizhoni is doing her best, the post is slowly falling apart. Yazzie isn't the only one to have recently returned home. A man who calls himself Zopilote, the Buzzard, has spent the last twenty-five years in jail steeping himself in the ancient Navajo chant "Darkness Rolling" and consumed with rage at the people who put him there--Yazzie's mother and grandfather. 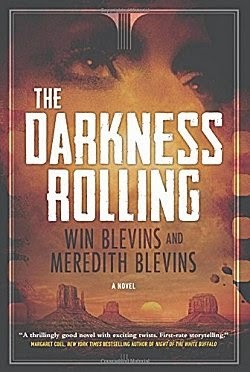 A thrilling, heart-pounding read of family, adventure, romance, and vengeance, The Darkness Rolling is the first in an evocative historical mystery series by award-winning authors Win and Meredith Blevins." Synopsis: "Mary Handley is a not your typical late-nineteenth century lady. She's fiery, clever, daring—and she’s not about to conform to the gender norms of the day. Not long after being fired from her job at the hat factory for insubordinate behavior, Mary finds herself at the murder scene of Charles Goodrich, the brother of a prominent alderman and former bookkeeper of Thomas Edison. 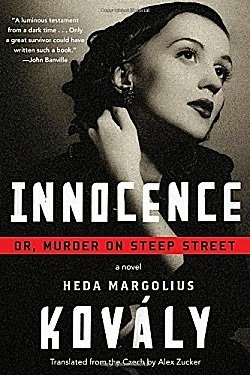 When Mary proves her acumen as a sleuth, she is hired by the Brooklyn police department—as the city’s first female policewoman—to solve the crime. The top brass of the department expect her to fail, but Mary has other plans. As she delves into the mystery, she finds herself questioning the likes of J. P. Morgan, Thomas Edison, and Nikola Tesla. 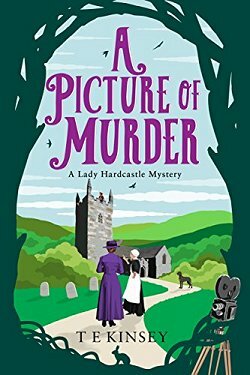 Mary soon discovers the key to solving the case goes well beyond finding a murderer and depends on her ability to unearth the machinations of the city’s most prominent and respected public figures, men who will go to great lengths to protect their secrets. 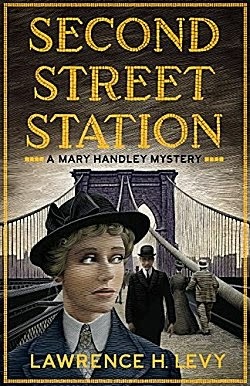 Much like Mr. Churchill’s Secretary and Maisie Dobbs, Second Street Station presents a portrait of a world plunging into modernity through the eyes of a clever female sleuth. 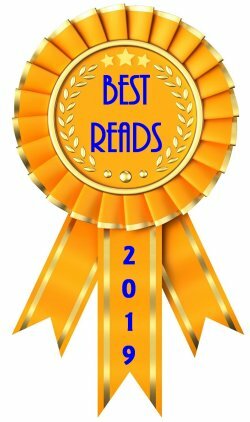 Mary Handley is an unforgettable protagonist whose wit, humor, and charm will delight readers from the very first page." 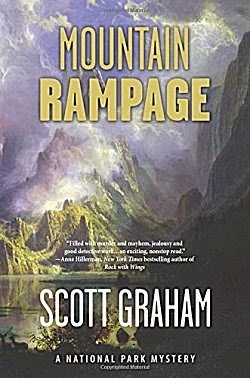 Synopsis: "In the riveting second installment of the National Park Mystery Series, archaeologist Chuck Bender finds himself and his young wife and stepdaughters in the crosshairs of an unknown killer when he defends his brother-in-law from false accusations of murder in the brutal slaying of a resort worker in Rocky Mountain National Park." Synopsis: "When two female hikers disappear in the Hundred Mile Wilderness-the most remote stretch along the entire Appalachian Trail-Maine game warden Mike Bowditch joins the desperate search to find them. Can Mike Bowditch find the woman he loves before the most dangerous animal in the North Woods strikes again?" Synopsis: "When soccer mom Liz Barone is attacked in her kitchen and left with a life-threatening injury, Fina Ludlow is hired by Liz’s mother to identify her attacker. It’s unusual for Fina to take a case that isn’t connected to the family firm, Ludlow and Associates, but Liz was in the process of suing her alma mater, New England University—a suit that could be a legal gold mine. Was Liz attacked to stop her lawsuit, or were there other secrets in the seemingly innocent woman’s life? 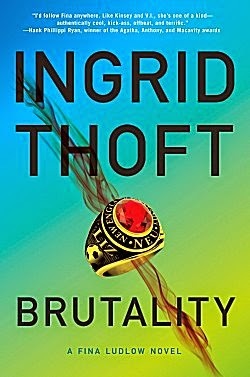 Fina convinces her father and boss, Carl, to take the case, and discovers that wading into the financially lucrative and emotionally charged world of collegiate sports requires nerves of steel. As the list of suspects grows and hidden agendas are revealed, Fina wonders if any game is worth the price." 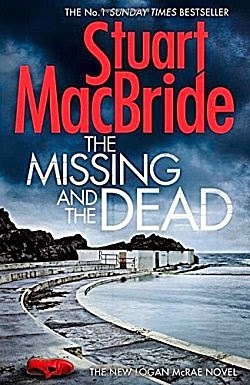 Synopsis: "An international bestseller, this captivating whodunit introduces Commissaire Dupin-a clever but cantankerous traditional police inspector in an idyllic French seaside village." What a great lineup of books for June! 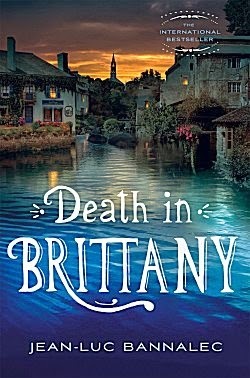 If I went by cover alone, I would choose Death in Brittany followed very closely by The Darkness Rolling. 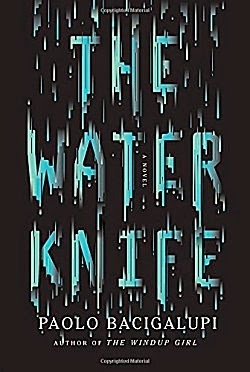 If I went merely by the book synopsis, I'd give the edge to The Water Knife for rather obvious reasons. What about you? Which books did you add to your personal wish lists? Inquiring minds would love to know! Certainly looks like a great month, Cathy! Nice to see Martin Edwards getting some of the notice he richly deserves. Yes, I agree about Edwards, Margot! So many lovely books! And a couple that definitely are on my list. 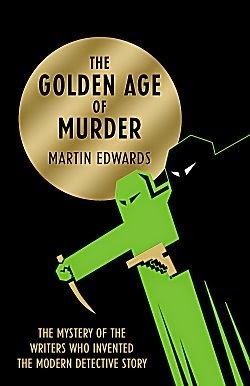 I want to read that Golden Age books by Martin Edwards. It's one of those books to savor a chapter at a time, Kay. The Golden Age of Murder looks pretty interesting. What a list! I can't add any books to the list that shall not be named. Any more and I'll break out in hives. But I will pay attention and see if The Golden Age of Murder is at my library. If it is, I'll look at it. That looks fascinating.